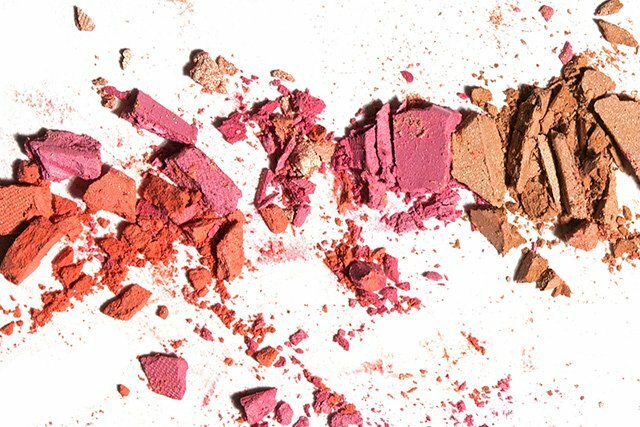 At one point or another many have been left with blush or bronzer on clothing, carpet or all over the inside of your bag. Here are some tips to get rid of them. When treating clothing with powdered makeup stains it’s best to use a gentle hand. Be cautious as to not grind the product further into the material. Also before advancing to the faucet right away, remove any excess dust from surfaces. After wetting the material make sure to wring out or slightly dry excess water. Carpet/Grout- For grout a simple scrub brush and oxiclean will work. For carpet, carpet cleaners like resolve will do the trick. Inside Purse/Makeup bag- First rid any excess powders left inside the bag, solutions used for clothing will work for this. Also weirdly enough hand sanitizer or rubbing alcohol can be used. If these stubborn stains persists, visit your local dry cleaners, Vogue Cleaners.